We are a short flat walk to the city centre, with its comprehensive range of shops, cafes & restaurants. 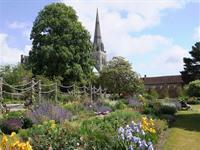 Chichester Cathedral is in the city centre with its beautiful Bishops Garden, and about half an hour walk away is The Chichester Festival Theatre. We are also a five minute drive to the Goodwood Estate that hosts the Festival of Speed, The Goodwood Revival and Glorious Goodwood, it is also a lovely place to walk and have a picnic. 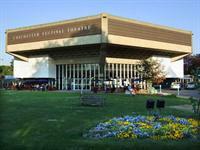 Chichester Festival Theatre is one of the UK’s flagship theatres with an international reputation for producing work of the highest quality, ranging from large-scale musicals to distinguished dramas. With its bold thrust stage design, the Festival Theatre is one of the UK’s most striking playhouses. The Goodwood Estate is in the heart of West Sussex and is home to the world famous Festival of Speed, Goodwood Revival and Glorious Goodwood and there can be few places as beautiful. 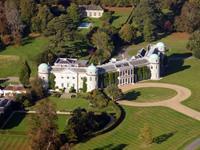 The Goodwood Estate plays host to a number of unique venues including Goodwood House, The Kennels (clubhouse) and venues at the Motor Circuit. Discover a hidden treasure located in the centre of the City. Bishop's Palace Gardens is situated within the City Walls, next to the Cathedral. It has been developed to offer a peaceful retreat for all to enjoy including new planting, improved access, and the creation of a wildlife friendly area. Water features, new seating and a pergola walk have also been introduced. 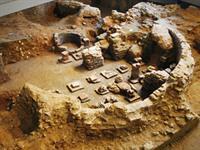 Explore this first-century home and outstanding archaeological site. Get hands-on at the exciting family events and marvel at the largest collection of early Roman mosaic floors in Britain. Discovered in 1960, the North Wing of this remarkable building is an important attraction for anyone interested in learning more about Roman life, art and architecture. 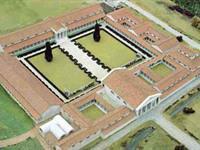 Dating back to the beginning of the Roman occupation of Britain, the Roman Palace offers visitors of all ages a unique experience. 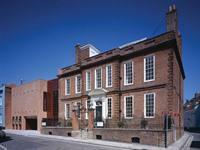 Located in the heart of Chichester, Pallant House Gallery is a unique combination of a Grade 1 Listed Queen Anne townhouse and an award-winning contemporary extension, housing one of the UK's most significant collections of modern British art. 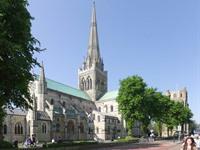 Discover intriguing stories from Chichester District connected with extraordinary artifacts in a contemporary, state-of-the-art museum. Built above the remains of the Roman bath house, The Novium offers three floors of interactive exhibitions, exciting events and award-winning learning programmes.